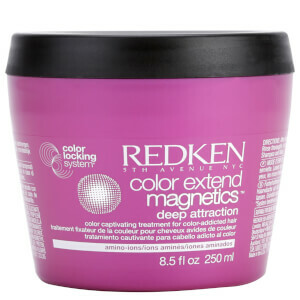 Give your colour salon-fresh vibrancy every time you wash it with the Redken Color Extend Magnetics Shampoo. Boasting a cleansing formula that thoroughly cleans your hair from root to the tip, the shampoo not only extends the life of your colour but works to give you a softer and smoother feel all over and luminous shine. Apply to wet hair and massage into a lather. Rinse thoroughly. I've used this shampoo for many years and shall never be without it again. My hair is greying and I have it coloured regularly. It does not look good if the colour fades, but this shampoo (and the conditioner that goes with it) keeps my hair looking nurtured and the colour remains beautiful for the full six weeks before my next colour appointment. I wash it twice, and the second time I barely need more than a pea sized blob of shampoo to foam richly. Used this product for years. The price and quick delivery made me use this company. Impressed. Excellent product. First time I have used this website to order and was impressed with price and delivery time. 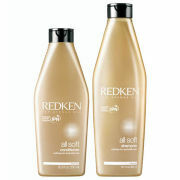 The only shampoo that I know that does not dry my hair out. 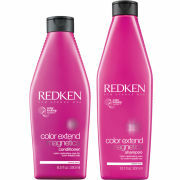 Have used this product for years! 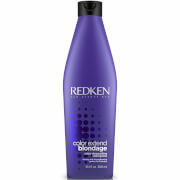 Redken products really seem to suit my hair. Stock up when the price is right. Very pleased with my purchase. I even brought more after my first use.